Please login to access to your Digital Dharma subscription, member resources, or programs you’ve previously registered for. 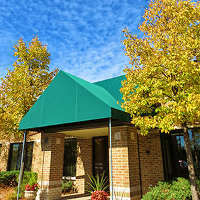 Welcome to the Jewel Heart Ann Arbor chapter webpage! Jewel Heart was founded in Ann Arbor in 1988. Since then, we have been privileged to receive Gelek Rimpoche’s teachings on a regular basis, as well as to host other preeminent teachers and scholars in Tibetan Buddhism. In 2008, we were honored when His Holiness the 14th Dalai Lama accepted our invitation to teach in Ann Arbor and inaugurated our spacious new location at 1129 Oak Valley Drive. Throughout the year, we offer retreats, courses, guest speakers, workshops, and talks geared to help individuals bring peace, joy, and understanding into their lives and the lives of others, all based on the authentic and accessible teachings of Gelek Rimpoche. On a regular basis we hold film nights, a book group, a knitting group, tai chi classes, and community events, such as potlucks, a community garden, and fun-raisers. We are also involved in outreach activities, providing classes in mindfulness meditation to prisoners and living will workshops offered by Jewel Heart Health Center and Community Hospice. The Jewel Heart Store, located on site, sells books, transcripts, Tibetan rugs, and dharma objects. Our location also has a main assembly hall, multiple rooms for courses, kitchen and dining facilities, and green space with a pond. Please feel free to join us on Sunday mornings, when we offer guided concentrated meditation, teachings with Gelek Rimpoche, followed by tea, cookies, and conversation, and guided White Tara meditation. Please join the Cleaning Club on Wednesday, 4/10, to care for our center from 10 am – 2 pm. If you are unable to help at these times, feel free to clean at your convenience and mark your accomplishments on the lists in the kitchen. After the talk on Sunday, 4/7, store the chairs and cushions in the hall and stack the cushions in the Joyful Paradise room. The Celebrating Spring with Cookies and Sweet Treats Bake Sale is set for Sunday, 4/14. Please contact Sissel Bridges about food donations. Don't forget to do your grocery shopping at Arbor Farms and 3% will be donated to Jewel Heart. 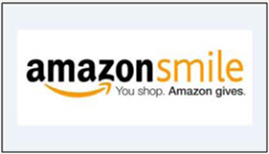 And go to SmileAmazon.com and 0.5% will be donated to Jewel Heart. Register for courses and workshops at annarborregistration@jewelheart.org. Homework assignments where applicable are provided upon registration. Purchase Digital Transcripts online for the courses, or order paper copies from the Jewel Heart Store. Jewel Heart courses and workshops are open to all, regardless of ability to pay. If you are unable to afford a fee, please ask about the possibility of a partial or full scholarship. will be enjoyed throughout the day. analytical and visualization meditations on various topics. Bring your friends and enjoy a free film and group discussion. Concessions available. Robert Altman's wild, anarchic cult fave, istn't about dreams as much as it is about the highs and lows of humanity. Ah, Love. The thing that at once shapes and unravels us. The thing that may or may not give us wings. When a cockerel apparently flies into a chicken farm, the chickens see him as an opportunity to escape their evil owners. A great story of the bodhisattva desire to free all beings. After young Riley is uprooted from her midwest life and moved to San Francisco we take a rollicking journey into her mind where five emotions Joy, Fear, Anger, Disgust and Sadness conflict on how to navigate her circumstances. The plot centers on the premise of a “Stargate”, an ancient ring-shaped device that creates a wormhole enabling travel to a similar device elsewhere in the universe. A Spiritual Journey (2011) Portuguese with English subtitles –A successful doctor who experiences an enlightening spiritual awakening after his death. The film tackles many of the issues that people ask about life, death and the next world. Click here to register for the 2018 Webinar Sunday series. After registering, you will receive a confirmation email containing important information to join the webinar. Please log in and set up early. The above link and ID are valid for this new series of Rimpoche's Sunday teachings regardless of attending one or all. Or Text: 734 489 4919. White Tara Guided Healing Meditation – Tara is the mother goddess of Tibetan Buddhism, known for her quick and compassionate activity. She is particularly associated with healing and long life. Join us for a guided meditation using visualization techniques to overcome physical, mental and emotional suffering. Free and open to all. Buddhist experience is not required.